See Michelle Chen’s Want to Exploit Retail Workers? In San Francisco, It’ll Cost You, in The Nation. Two weeks advance notice, or you get paid more. 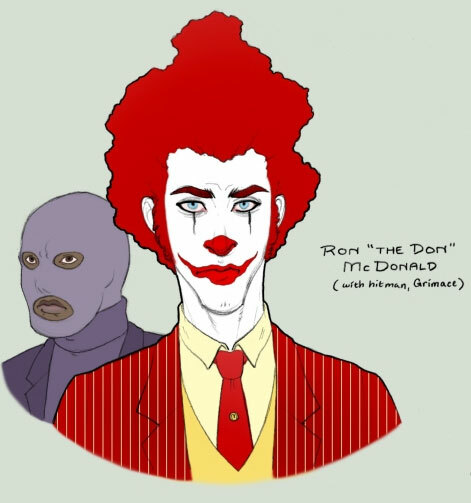 Image from silentsketcher.deviantart.com, via Fast Food News. [San Francisco’s Board of Supervisors, which is also the city council of that city+county] voted unanimously on Tuesday [25 November] afternoon in favor of measures aimed at giving retail staffers more predictable schedules and access to extra hours. The ordinances will require businesses to post workers’ schedules at least two weeks in advance. Workers will receive compensation for last-minute schedule changes, “on-call” hours, and instances in which they’re sent home before completing their assigned shifts.